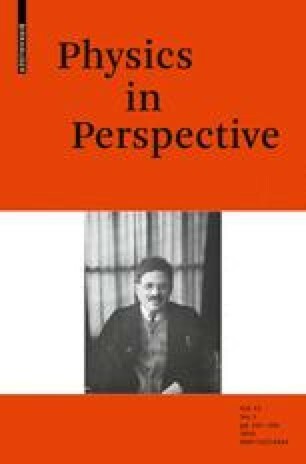 In May 1918 Paul Ehrenfest received a monograph from Niels Bohr in which Bohr had used Ehrenfest’s adiabatic principle as an essential assumption for understanding atomic structure. Ehrenfest responded by inviting Bohr, whom he had never met, to give a talk at a meeting in Leiden in late April 1919, which Bohr accepted; he lived with Ehrenfest, his mathematician wife Tatyana, and their young family for two weeks. Albert Einstein was unable to attend this meeting, but in October 1919 he visited his old friend Ehrenfest and his family in Leiden, where Ehrenfest told him how much he had enjoyed and profited from Bohr’s visit. Einstein first met Bohr when Bohr gave a lecture in Berlin at the end of April 1920, and the two immediately proclaimed unbounded admiration for each other as physicists and as human beings. Ehrenfest hoped that he and they would meet at the Third Solvay Conference in Brussels in early April 1921, but his hope was unfulfilled. Einstein, the only physicist from Germany who was invited to it in this bitter postwar atmosphere, decided instead to accompany Chaim Weizmann on a trip to the United States to help raise money for the new Hebrew University in Jerusalem. Bohr became so overworked with the planning and construction of his new Institute for Theoretical Physics in Copenhagen that he could only draft the first part of his Solvay report and ask Ehrenfest to present it, which Ehrenfest agreed to do following the presentation of his own report. After recovering his strength, Bohr invited Ehrenfest to give a lecture in Copenhagen that fall, and Ehrenfest, battling his deep-seated self-doubts, spent three weeks in Copenhagen in December 1921 accompanied by his daughter Tanya and her future husband, the two Ehrenfests staying with the Bohrs in their apartment in Bohr’s new Institute for Theoretical Physics. Immediately after leaving Copenhagen, Ehrenfest wrote to Einstein, telling him once again that Bohr was a prodigious physicist, and again expressing the hope that he soon would see both of them in Leiden. Martin J. Klein, Eugene Higgins Professor Emeritus of History of Physics and Professor Emeritus of Physics at Yale University, died on March 28, 2009, at the age of 84. He intended this paper, whose topic he had broached in his paper, “Great Connections Come Alive: Bohr, Ehrenfest and Einstein,” in Jorrit de Boer, Erik Dal, and Ole Ulfbeck, ed., The Lesson of Quantum Theory (Amsterdam: North-Holland, 1986), pp. 325–342, to be the first chapter of the second volume of his renowned biography of Paul Ehrenfest. His daughter, Sarah Zaino, Executor of his Estate, has granted permission to publish it. Anne J. Kox, historian of physics and friend of Martin’s, found it among his papers while visiting Yale for Martin’s memorial service on October 16, 2009, and he has supplied the pictures for figures 1, 6, and 8. Roger H. Stuewer added the abstract and key words, brought the references up to date, and edited it. Requests for reprints should be directed to him at Tate Laboratory of Physics, University of Minnesota, 116 Church Street SE, Minneapolis, MN 55455 USA; e-mail: rstuewer@physics.umn.edu. Note on Archival Sources: The Ehrenfest Scientific Correspondence (ESC) and the Ehrenfest Research Notebooks, are deposited in the Museum Boerhaave (Rijksmuseum voor de Geschiedenis van de Natuurwetenschappen en van de Geneeskunde, Leiden, The Netherlands); hereafter Museum Boerhaave. Most but not all of the letters in the Ehrenfest Scientific Correspondence are listed in Bruce Wheaton, Catalogue of the Paul Ehrenfest Archive at the Museum Boerhaave Leiden (Leiden: Communication 151 of the National Museum for the History of Science and Medicine "Museum Boerhaave," 1977). A letter that is listed is designated, for example, by the notation ESC9, S9, 356, which means that it is located on ESC Microfilm 9, in Section 9, and is Number 356.